As it happened - Storm 40 def. Broncos 10. 1. Kick-off by Cameron Smith, Dave Taylor brings it back into a swarm of Storm defenders. 2. Nice quick start by the Broncos, getting to their kick on the 4th just inside their own half. Slater brings it back and doesn’t suffer the same fate as Luke Patten last night – gets up. 3. Cameron Smith makes metres from dummy half – catching the Broncos sleeping around the ruck. And Yow Yeh – the man of the moment last week knocks on a Cronk clearing kick. 4. Craig Bellamy liked that… what a gift to the Storm already, a set inside 20. 5. Cronk to Finch and CHAMBERS is through a massive hole on the right edge – it’s Melbourne 4-0 after 3 minutes! 6. Didn’t take the Storm long, their first shift wide after a few inside barges results in points and Brisbane’s defence looked very ordinary. 7. Smith converts from in front and it’s 6-0 Melbourne after 4 minutes. Great pass by Finch to cut out Adam Blair but Chambers had a yawning gap to run into. 8. Tolman is busy early around the ruck, a willing runner. There’s another hitup! 9. Wow! Cronk goes for a midfield cross kick to Steve Turner from inside the Storm half, the ball just goes a little too far – Turner knocks it over the sideline. But he was in space if he caught it. 10. Good hit! Cameron Smith on Karmichael Hunt with the fullback making a foray into the middle of the field off a short ball. 11. Slater goes to the air to catch a bomb by Lockyer and threw his legs out… didn’t like the look of that. 12. Melbourne are looking very sharp in their shifts wide, the plan is to obviously make the advancing Broncos forwards work hard in defence. 13. Brisbane try the same Lockyer to Taylor inside to Hunt and it looked like Taylor knocked on… play on called… possible Brisbane try from a kick… Video Ref time. 14. Looked like Tonie Carroll was offside from the contested bomb from Lockyer… goes up, hits Dave Taylor into Tonie Carroll’s shoulder and he should be ruled offside even though he grounded it. No try and yep, offside. 15. Great touch finder from the penalty by Cameron Smith, they are up at halfway from a penalty 10m out from their own line. Brett White offloads to no one… Brisbane ball. 16. Lockyer to Hodges and the centre knocks on… first real shift right by the Broncos and Hodges drops it cold. Inglis on Hodges is a great matchup. 17. We’re into the 10th minute and it’s still Melbourne 6-0 off an early Chambers try. 18. Adam Blair is looking like a genuine second rower playing wide on the right. 19. Slater making something happen! Gets close with a scything run, finds Turner who is brought down just short by Folau. Penalty Melbourne for holding down 5m out. 20. SLATER! No he’s just short. Cronk created a chance with an off load and Slater pulled down just short. 21. Has Hoffman scored!??!?! Melbourne keep the ball alive on the 5th it makes it’s way wide, Smith to Brett White who races into space… may have lost it trying to pass, ruled play on… has Hoffman got it down? 22. I think he’s lost it… double movement the question as well… I can’t give that a try. 23. Neither can Paul Simpkins the Video Ref… No try. Just saw a replay of the Slater close call… may have scored but we didn’t go upstairs. 24. White could be hurt… shoulder injury from the attempted pass. Game slowing down a bit now. 25. Lockyer goes to the air… Slater takes it on the run on the full in the in-goal. Melbourne 6-0 after 15 minutes. 26. Given the NRL Finals Tweet is watching this game ‘live’ but on a Fox Sports Replay – please be aware that our notes are legitimately fresh as we don’t know the result going in. 27. Commentators Greg Alexander and Warren Smith can’t let the Slater ‘no try’ go… thing is I’d prefer the on-field ref to make a call like that any day of every week. Bring back the in-goal touch judge! 28. I love the options Melbourne have on the last… they can go to Cronk, Smith, Finch or Inglis for the clearing or attacking kick… heck even Slater is an option. 29. Sam Thaiday is starting to look dangerous carting the ball up down the right. 30. Lockyer is bombing Slater all night… he’s been a little deep but Brisbane aren’t getting far enough into Melbourne’s half to make the kick truly attacking. 31. SLATER SLATER SLATER! 32. Wow… there’s 100 tries in Rugby League for Slater and what a way to do it… Nice move on the right by Melbourne, Cronk dummied inside to Inglis, found Slater on the outside he beat two then grubbered for himself and beat Winterstein to score in the right corner. What a player! 33. Smith can’t convert from the right sideline, Melbourne 10-0 after 22 minutes. 34. The Melbourne bench props are into the game, crucial stage of the match now as they were effective in this role against Manly and secured the start the Storm had enjoyed in that game. 35. Greg Inglis doesn’t miss Nick Kenny and the Broncos prop knocks on… Brisbane must hold the Storm out here to stay in the contest. 36. Lima makes a huge run up the middle! 10m out now! 37. Johnson from Cameron Smith on a fast short play near the line… I think he might’ve dropped it… we’ll take a look. 38. Yep in reaching out to score – great quick run but he’s lost the ball. Brisbane breathe… again… or has he… I’ve seen these given. 39. It is… I can’t give that a try… Benefit of the Doubt should ALWAYS go to the DEFENDING team… otherwise we just find ways to give tries that just aren’t tries at all. 40. Smith converts and Melbourne are away 16-0 after 26 minutes. Brisbane look shot at the moment in defence. 41. Folau goes close trying to barge over the line… off the play the ball Lockyer finds Te’o who goes for the line but Slater may have held him up. Good sign for the Broncos though – the Storm held off on the right edge. 42. No try for mine… Hodges and Yow Yeh unmarked outside Te’o… 30 minutes gone and the Storm are doing it comfortably with minimal errors a vital statistic. 43. Good defence by Folau and Winterstein… stopping Chambers at the line from a Cronk cut out. Good stop. 44. Brisbane are trying hard to stay in this… marching down the field ok but not getting far enough into the Storm half for an attacking option. Storm just keeping the go-forward going with 35 minutes gone. 45. Cronk tries a chip kick for Slater just inside the Broncos half… but despite a tap back Chambers knocks on. 46. Hodges gets a rare touch… on the left. And that’s not ideal when he plays on the right. 47. Corey Parker gets Slater high on a from behind shot after Slater had beaten him earlier on his run. Penalty Melbourne… a chance for another attacking set with 3 minutes to go before halftime. 48. Wow… again WOW! Hodges came out too hard in defence, Hoffman beat him and found Inglis who palmed off Yow Yeh and then tip toed down the left sideline to dive over the line and plant it down one handed. Great try on halftime. 49. Smith converts and at 22-0 at halftime… Game Over? 50. NRL Finals: 2nd Preliminary Final Halftime Score: STORM 22 (Chambers, Slater Johnson, Inglis Tries, Smith 3/4 Goals) lead BRONCOS 0. 51. PF2 Halftime Best: Slater, Cronk, Smith, Tolman, Johnson, Finch, Lockyer, Blair, Thaiday, Lima, Tandy, Hoffman, McCullough. 52. Brisbane haven’t looked terrible, but their defence has let them down badly though up to halftime. The Storm are just rolling forward and taking their chances when they are willing to move it wide on set plays. 53. Second half underway, Brisbane kick-off. 54. In their first set, Cronk puts Chambers outside Winterstein and the centre makes it to the fullback before kicking in field. Lockyer cleans up. But worrying signs on that first set for the Broncos. 55. Slater dangerous again in the middle of the field. He’s back to that ‘attack at full speed’ mindset that makes him so damaging when half gaps appear. 56. Melbourne’s ability to move the ball wide fast is going to worry Parramatta next week in a big way… unless of course the Broncos can build a miracle comeback… 36 minutes left still Melbourne 22-0. 57. Te’o creates an off-load in the Brisbane half and McCullough caught watching rather than anticipating… knock on. Melbourne’s back on the attack inside the Broncos half. 58. WOW!!! It’s back on… Finch makes a half break and then gets a miracle pass away to a streaking support player in Greg Inglis and the Eels await the Storm. 59. A set play from the scrum. Finch goes from the base of the scrum dummies outside, goes hard through the gap and Inglis is there racing through in support and picks up a fine offload. Smith converts and it’s Melbourne 28-0 after 47 minutes. 60. Cronk tries for a 40/20 but Hunt picks it up easily. One of Karmichael Hunt’s last touches in Rugby League… for the next few years at least. 61. Great tackle by Chambers on a wide running Taylor… Brisbane just can’t get into the Storm 20m zone though. 62. Cronk goes high and Winterstein volleys it off his thigh over the sideline… what’s doing there? Brain melt by the young winger. Storm another set inside the Broncos 20m zone… here comes another WOW. 63. Finch goes for a trick chip kick for his winger Nielsen… almost comes off but the kick is a little deep and Brisbane survive… for now. 64. Hodges trying to get involved runs across the field and puts on a patented Hodges forward short ball and it’s called that way. Not Brisbane’s night at all. 65. Although Brisbane’s defence has been poor… the effort has been there. They’ve just been found out by the efficient shifts of the Storm and gaps opened up. But they have given their all. 66. Repeat set here for Melbourne as Cronk keeps the pressure on. 67. Hoffman has been strong on the left all night. White pushes a poor offload and there’s a knock on 10m out from the Brisbane line. 68. Brisbane go close! A Lockyer chip (gets taken out by White in the process) sees Folau get it, give it to Hodges but Carroll can’t hold the final pass. Penalty to Brisbane for the White on Lockyer contact. Chance for Brisbane here. 69. Great desperation by the Storm. Hunt kicked for himself near the line and Inglis and Finch made sure they were the first there to keep the Broncos on zero. 70. There’s just 22 minutes left and the question now becomes two fold – will Brisbane score and can Melbourne avoid injuries? 71. Alex Glenn goes for a try! Sliced through may have knocked on, may have had a double movement… may have scored…. Video Ref called on… if Johnson’s was a try… I’m thinking this is one too. Mind you I think neither are tries… 72. And it is a try. Not sure what Warren Smith is going on about ‘benefit of the doubt to the defending team?? ?’ since when has that applied? Glenn gets the try off a McCullough short ball, Parker converts and it is Melbourne 28-6 with 60 minutes gone. Finch gets a break. 73. Brisbane keep coming… they are marching down field well but the scoreline is beyond them… four tries required in 20 minutes… not against the Storm tonight though. 74. Soft penalty there given away by Dallas Johnson for holding down a less than enthusiastic Joel Clinton in the play the ball. McCullough makes a nice run from dummy half… Broncos inside 20m zone finally! 75. Lockyer goes to the line and finds Carroll back on the inside… looked a certain try but that man Slater may have held him up… Video Ref time. 76. I can’t give that… there’s daylight between the ball and ground. And Video Ref agrees. Great tackle Slater. Nice play inside by Brisbane though, makes you wonder what might’ve been had they been able to have more inside 20s earlier in the match. 77. That was dangerous… Nielsen goes up to take a Lockyer bomb and Yow Yeh and Hodges get his legs… Hodges more at fault that Yow Yeh who was actually watching the ball. 78. Still Melbourne 28-6 with 15 minutes left in the Broncos season. 79. That was entertaining… Melbourne bomb was kept alive by the Storm through about 5 sets of hands but eventually Brisbane defused it… great to watch though. 80. Brisbane are playing some keep it alive football now and the game is opening up. Mind you the game is over on the scoreboard but the last ten minutes might produce some great footy. 81. There’s Inglis…. What a player. Thaiday got on the outside of the inside defender from 15m out and went to pass it across Inglis but the big centre threw out an arm, corralled it and streaked 85m to score his third. What pace and anticipation. 82. Smith converts and Melbourne are 34-6 leaders with 71 minutes gone. 83. Good to see Thaiday turn and at least try to chase his mistake. 84. Brisbane are going to try and leave an impression in defence in this last ten… and then let Hoffman through for a 60m run! 85. Slater gets his second… Smith cross kick off the Hoffman break and Brisbane barely contest the bouncing ball… Melbourne make it 40-6 with the Smith conversion with 6 minutes left. 86. Looks like Karmichael Hunt missed the mark then… 87. Slater gets an early mark. 88. One of the features of the Storm performance has been the metres they’ve made out of dummy half and followed that up with a big forward hitup. 89. Storm smell another one here… inside the Broncos 20… Cronk kicks it touch in goal… 2 minutes left. 90. Hunt tries a chip and chase but Turner cleans up. White knocks on… surprise surprise… 91. Brisbane keep trying… Melbourne keep holding them out. Got issues with that Smith tackle on Yow Yeh… Thaiday and Parker race in! 92. Lockyer kicks from the penalty for Folau who scores after the siren. The Broncos deserved something… and get something. Lockyer was their best tonight and even in the face of certain defeat he still makes something happen. Parker declines the kick at goal for some reason… and that’s all she wrote. Melbourne 40 def Brisbane 10. 93. NRL Finals: 2nd Preliminary Final Full Time Score: MELBOURNE STORM 40 (G Inglis 3, B Slater 2, W Chambers, D Johnson Tries; C Smith 6/7 Goals) Defeated BRISBANE BRONCOS 10 (A Glenn, I Folau Tries; C Parker 1/1). 94. PF2 Full Time Best: B Slater, G Inglis, C Smith, C Cronk, D Lockyer, B Finch, R Hoffman, A Blair, A Tolman, J Lima, D Johnson, S Thaiday, I Folau, T Carroll, R Tandy, S Turner, W Chambers, A McCullough. ===================================================================== Final Score 2nd Preliminary Final 2009 MELBOURNE STORM 40 Tries: G Inglis 3, B Slater 2, W Chambers, D Johnson. Goals: C Smith 6/7. Defeated BRISBANE BRONCOS 10 Tries: A Glenn, I Folau. Goals: C Parker 1/1. @ Etihad Stadium, Melbourne. Saturday 26 September 2009. Official Man of the Match: Billy Slater, Storm. NSC Man of the Match: Billy Slater, Storm. Glenn Lazarus Player of the Finals Points: 5 - Billy Slater, Storm. 2 - Greg Inglis, Storm. 1 - Ryan Hoffman, Storm. Game Rating: 3.0 out of 5. One Line Game Review: The Broncos may have run out of steam but the Storm were nothing but brilliant, the Billy Slater show continues to dazzle and the Storm clearly have the weapons to win the competition. ===================================================================== What the result means? The Melbourne Storm have no qualified for their fourth straight Grand Final with the victory and will face the Parramatta Eels at ANZ Stadium this Sunday. The Broncos made a gallant run at the title but the Peter Wallace injury and a hot Melbourne team were too much to overcome in the penultimate round of the competition. GRAND FINAL: Sunday 5:15pm 4 October @ ANZ Stadium, Sydney MELBOURNE STORM v PARRAMATTA EELS ELIMINATED TEAMS: Finals Week One: Finals Week Two: Finals Week Three: The best way to follow the 2009 Finals Series is to go to NRL_Finals_2009 on Twitter. During the first three weeks of operation, we produced 700+ Tweets - with some great nuggets of information in there, as well as news as it breaks. For the games themselves, regular Tweets will be uploaded giving you an instant evaluation of how the game is being played out and what to watch out for during the match. You can check out the In-Game Tweets within the Game Reports from all Semi Finals - just click on the linked articles on the drop down archive menu on the right of this page. 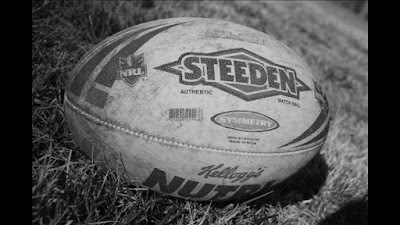 So subscribe today and get involved with feedback - either here at wdnicolson.blogspot.com, at NRL_Finals_2009 on Twitter or via email wdnicolson@optusnet.com.au. 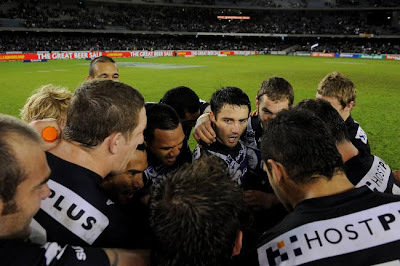 Get on board and may the best team emerge from a great month of football to take the 2009 premiership.